I’ve just downloaded and installed the 10.9.4 Update on my Guinea MacMini2,1 with no hassle. IF YOU ALLREADY installed either one combo (10.9.3) or the 10.9.2 and patched the boot.efi again, then it should run fine. Note: I’ve tested from 10.9.3 to 10.9.4. La mise à jour 10.9.4 se déroule bien. note: J’ai fait la MàJ depuis 10.9.3 vers 10.9.4. Confirmed. 10.9.4 working on my MP1,1. Thank you as always! What did you do to get working on your MP 1,1 ? I see some repatched, is that replacing the boot.efi? Hey, I am currently on 10.9.1 on a mac pro 1,1 and looking to update to 10.9.4. Will the boot.efi be replaced if I try and update via the App store? I updated from the appstore and no go. I try to boot in mavericks 10.9.4 and it won’t do it. I’ve just used SFOTT to install 10.9.4 on my MacPro 2,1. Went smoothly. After using Mavericks, I’ve noticed my fans speed up and makes a beep sound ONLY when waking up from sleep. Startup is fine. It never had this issue when I was still using Snow Leopard (10.6.8). Great you made it. I don’t know really much about the bip issue. Thanks for updating on this. Very helpful information and much appreciated! 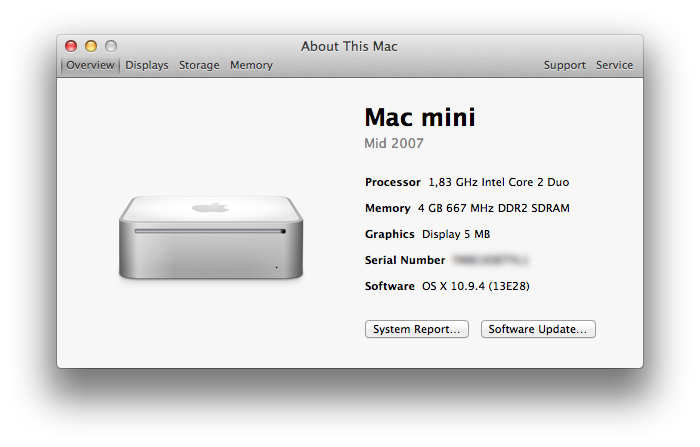 I just upgraded my MacPro 1,1 to 2,1 with 2 quad core 3Ghz and updated the firmware to 2,1. I’m currently on 10.7.5. and would like to install Mavericks. I’ve been reading your blog but am a bit confused as to which sfott version to use with which os version. Well for you it should be quite “easy” as you’ll start from 10.9.4, so no combo should be involved…. – Go to settings and validate target USB disk or internal – dedicated partition for the soft key. – Run the script – Automode should be preferred. – Reboot with the alt-option key pressed and choose the USB key. eventually a dummy option exist to get a key very fast – no copy of packages, only patches. – reboot in your system, run the script again and choose to convert dummy to real key. once done reboot choose the key and you’re good to go. PLEASE dno’t do this on your 10.7 system. do a fresh clean install on a dedicated partition – unless you don’t care about your datas. what about x1600 radeon gpus? i’m getting terrible video on my a1212 macbook pro. can one install the drivers from Lion? is there a fix? To much hardware involved and beyond my knowledge, I won’t be much help here. I’m quite impressed you made it on a MacBook Pro. 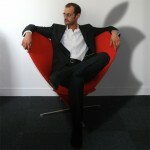 For Lion kext and tweaks best advise would be macrumors forums. I won’t be much help with “post-life after the installation” I just try to make it easier to get it done with Tiamo’s boot.efi. I’d say that unless you tweak drivers and kext you won’t improve the 64 MB issue, and I’m not even sure there is a way to make it at all. Do I understand correctly that you succeed on a macbook late2006 or have you suceeded on another machine ? If you only have 64MB for VRAM, indeed you’ll have slower machine. I tried to update to 10.9.4 and it instantly comes up to a blinking ? in a folder. MacPro 1,1 & 10.7.5. Installation without hassles. I can choose my USB-Stick as startupdisk, showing 10.9.4. But after booting I stick on my old 10.7.5 system. you may try real hard drive / partition. 1 Pings/Trackbacks for "10.9.4 Update and SFOTT | All smooth but BEWARE (again)"